Quezon City recently attempted to place a local ordinance restricting gambling but PAGCOR has stepped in to make things clear. Quezon City Vice Mayor Joy Belmonte attempted to push a new ordinance which would require residents to pay fees to enter a soon to be built casino. It is said this was done in an effort to reduce problem gambling in preparation of the Bloomberry casino project coming to Quezon. However, the Philippine Amusement and Gaming Corporation (PAGCOR) has stepped in to relay that Quezon does not have the authority to regulate gaming or order fees. PAGCOR announced that they will file a temporary restraining order (TRO) against Quezon City to block the new ordinance. With their intent to file a TRO clear, PAGCOR has stated the reasoning to block the ordinance is because it would mean PAGCOR had “failed at their job”, they wrote: “PAGCOR maintains that not taking this next important step is tantamount to the dereliction of its duties as gaming regulator”. PAGCOR has detailed their precedent for gaming authority citing the Presidential Decree of 1868 and Republic Act 9487 which established PAGCOR as the sole regulatory body for legal online casinos and land-based gambling in the Philippines. In addition, they rely on the authority given to them by Presidential Decree 771 which removes gambling authority from local government units (LGUs) otherwise known as local municipal governments, and a Justice Department Opinion released in 2012 referring to LCUs overstepping regulatory boundaries with gaming ordinances which violate federal law – the opinion suggests TROs as a corrective measure. PAGCOR continued by stating that if Belmonte and Quezon City were concerned with gambling, they should not have granted a permit for a new casino to be built in the city. Now a court battle will decide the fate of the ordinance, but it is likely to be in favor of PAGCOR. 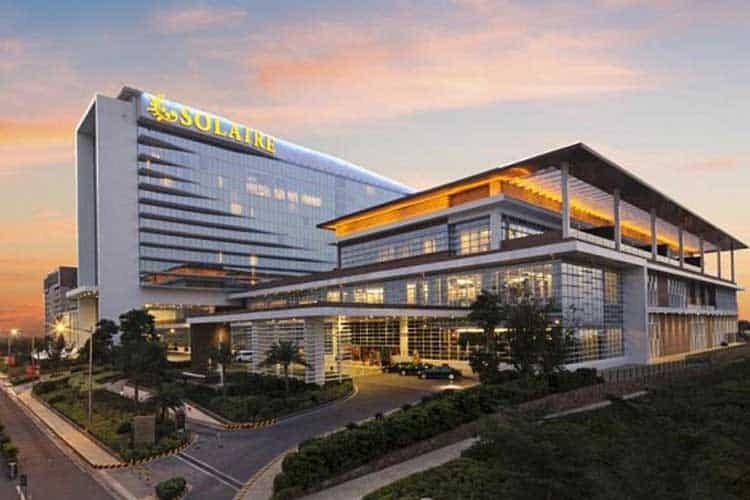 Bloomberry will still continue its build on the new Solaire casino in Quezon City and break ground mid-2019, despite the local battle between Quezon and PAGCOR. Enrique Razon, the businessman behind the project, says the project is on track to commence construction on the new casino, to be called “Solaire North”. In addition to receiving all their required permits to construct a new entertainment plaza with shops, restaurants, hotels, and a casino, Bloomberry also received a Letter of No Objection (LONO) from Quezon officials. Therefore, their build will continue with no interuption.